With another three points gained, United continue their voyage towards the top four as Brighton fly up from the coast. Interim manager Ole Gunnar Solskjær got the better of Mauricio Pochettino last time out and is now the favourite for the permanent job, but a more seasoned Premier League boss in Chris Houghton will provide a stern test. Old Trafford once again is expecting an entertaining affair, this time between two teams that have played out shock results in their last two meetings. (4-4-1-1) Button; Montoya, Duffy, Dunk, Bong; Knockheart, Stephens, Pröpper, March; Groß; Murray. 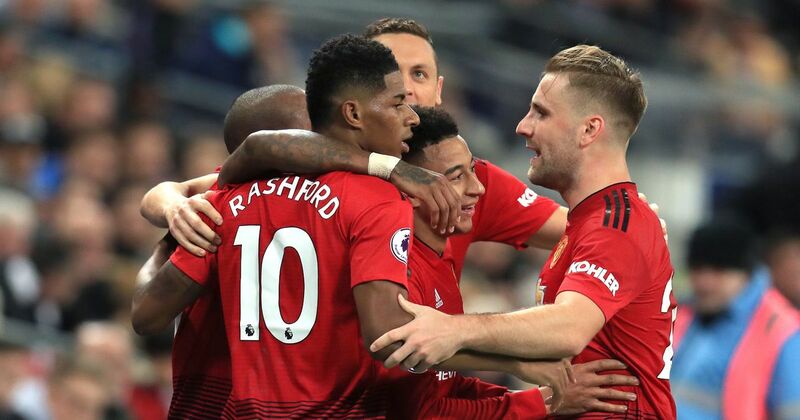 Courtesy of a Marcus Rashford goal and yet another David De Gea masterclass in goal, Solskjær claimed a sixth consecutive victory United boss as Tottenham Hotspur were the latest victims of this red resurrection. Nemanja Matić and Paul Pogba had their partners given birth this week, meaning they were absent from training in the early parts of the week. However, a familiar face in training was academy graduate Giuseppe Rossi; as the American-born Italian striker regains his fitness as he reaches the twilight of his injury-stifled career. Sir Alex Ferguson has been in and around Carrington lately, which may have been a key factor in the team’s resurrection with Ole at the wheel. Speculation surrounding Marouane Fellaini and Marcos Rojo (both on a permanent basis) along with Scott McTominay (loan) leaving the club has been rife this week, but one confirmed move has been Joel Pereira returning from his loan with Vitória Setúbal early. Two potential returns to the starting XI are the previously suspended Eric Bailly and Alexis Sánchez, but they may have to wait their turn in the FA Cup next Friday night. (4-2-3-1) De Gea; Young, Lindelöf, Jones, Shaw; Herrera, Matić; Lingard, Pogba; Martial; Rashford.